Help commemorate over 125 years of quality Ontario knife production with this collector's edition Old Hickory 5 Piece Knife Block Set. 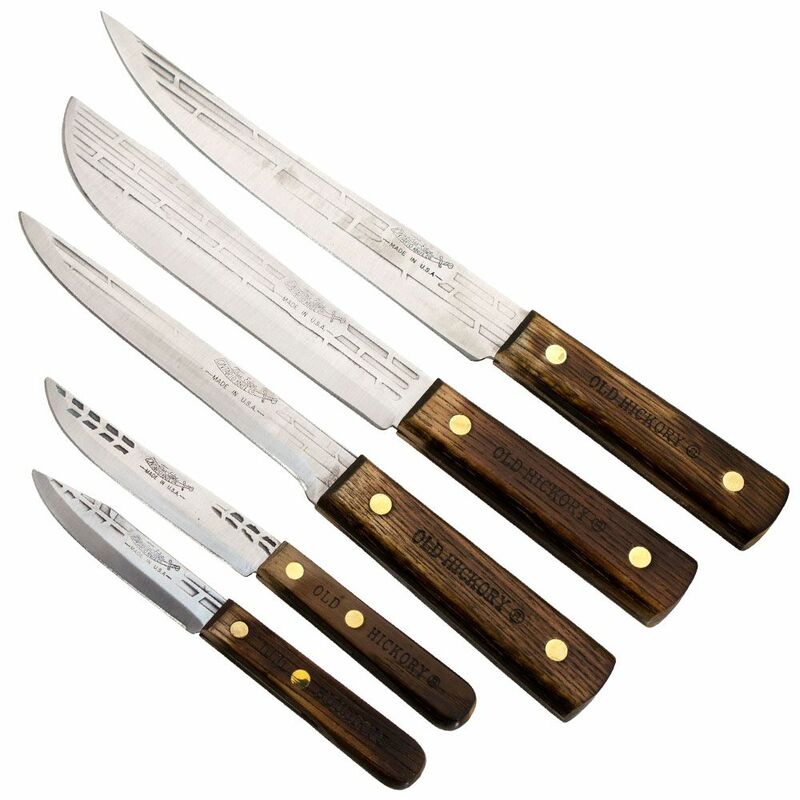 Boning, chef’s, paring and slicing knives are included in this set to give you a wide range of kitchen cutting utility. 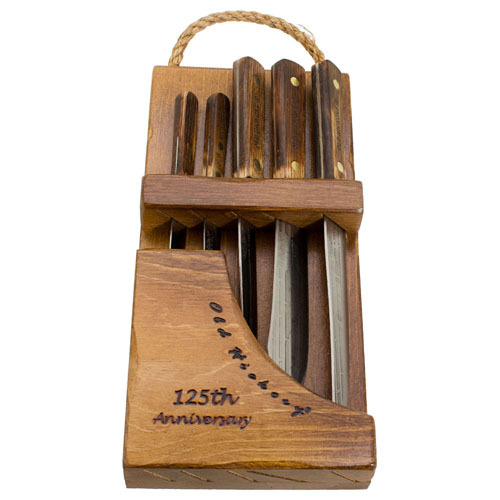 The traditional hickory hardwood handle design gives these knives a traditional look and feel.